Events in the year 1979 in Mexico. 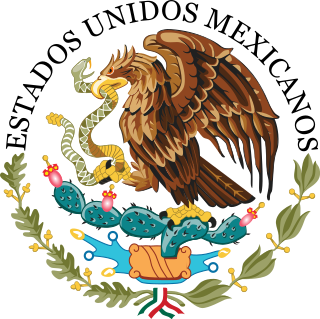 For the list of governors of the states of Mexico, see Category:Lists of governors of States of Mexico. Museo Rufino Tamayo in Oaxaca opens. Colegio Alemán de Guadalajara founded. University of the Cloister of Sor Juana established. February 5: Roman Catholic Diocese of Cuautitlán established. The Museo Rufino Tamayo is an art museum in the city of Oaxaca, Oaxaca, in southern Mexico. Oaxaca, officially the Free and Sovereign State of Oaxaca, is one of the 31 states which, along with Mexico City, make up the 32 federative entities of Mexico. It is divided into 570 municipalities, of which 418 are governed by the system of usos y costumbres with recognized local forms of self-governance. Its capital city is Oaxaca de Juárez. The Colegio Alemán de Guadalajara A.C. is a German international school in Zapopan, Jalisco, in Greater Guadalajara. The school serves kindergarten through bachillerato. It was founded in 1979. The school offers the IB Diploma Programme for their students. 1978–79 Mexican Primera División season. Ángeles de Puebla win the Mexican League. 1979 Summer Universiade in Mexico City. 1979 Central American and Caribbean Championships in Athletics in Guadalajara. Club de Fútbol Oaxtepec founded. Statistics of Primera División de México in season 1978-79. Club Angels of Puebla was a football team that played in Mexican Primera División and in Primera División A, it had its home in the city of Puebla de Zaragoza in Mexico. The team was founded in the years 1984–85 after the purchase of the Club de Fútbol Oaxtepec franchise. This team did not have any success, but it was always provided with the support of the people. It was a hardened team that strained to a great extent in its stay in the Mexican Primera División. After the 1989–90 season, the franchise was sold and transferred to Torreón and was made into Santos.The club made a brief come back in 1999 which ended in 2001. The Mexican Baseball League is a professional baseball league based in Mexico. It is the oldest running professional league in Mexico. It is a class Triple-A league in organized Minor League Baseball (MiLB), one grade below Major League Baseball (MLB). 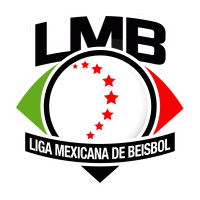 Unlike the other two Triple-A circuits, the International League and the Pacific Coast League, Mexican League teams are not affiliated with major league teams. One team, Tecolotes de los Dos Laredos, splits games between Mexico and the United States. July 15 is the 196th day of the year in the Gregorian calendar. There are 169 days remaining until the end of the year. Gustavo Díaz Ordaz Bolaños was a Mexican politician and member of the Institutional Revolutionary Party (PRI). He served as the President of Mexico from 1964 to 1970. The Universidad Autónoma de Guadalajara, commonly abbreviated to UAG or Autónoma, is a coeducational, independent, private university based in the Mexican city of Guadalajara. Established in 1935, it was the first private university and medical school in Mexico. The university was the result of the struggle against the communist and socialist laws and influence in the higher education of Mexico. It was first conceived with the name Universidad del Occidente, but would later be styled to Universidad Autónoma de Guadalajara (UAG). Volaris, legally Concesionaria Vuela Compañía de Aviación, S.A.B. de C.V., is a Mexican low-cost airline based in Santa Fe, Álvaro Obregón, Mexico City with its hubs in Guadalajara, Mexico City, and Tijuana, and focus cities in Cancún, León, Los Angeles, and Monterrey. It is the country's second largest airline after Aeroméxico and serves domestic and international destinations within the Americas. It is a leading competitor in the Mexican domestic airline market, with a market share of over 21% of domestic traffic. Healthcare in Mexico is provided by public institutions, private entities, or private physicians. Healthcare delivered by private organizations operates on the free market system and is available to those who can afford it. That is also the case of healthcare obtained from private physicians at their private office or clinic. The Real Audiencia of Mexico or high court was the highest tribunal of the Spanish crown in the Kingdom of New Spain. The Audiencia was created by royal decree on December 13, 1527, and was seated in the viceregal capital of Mexico City. The First Audiencia was dissolved by the crown for its bungling and corruption and the crown established the Second Audiencia in 1530. Another Audiencia was created in Guadalajara in western Mexico in 1548. Chilean-Mexican relations refers to the historical and current bilateral relationship between the Republic of Chile and the United Mexican States. Both nations are members of the Asia-Pacific Economic Cooperation, Community of Latin American and Caribbean States, Latin American Integration Association, Organization of Ibero-American States, Organization of American States, Pacific Alliance and the United Nations. They are also the only two countries in Latin America to be members of the Organisation for Economic Co-operation and Development. Mexican–Spanish relations refers to the bilateral relations between Mexico and Spain. Like many other Latin American nations, despite having achieved independence, Mexico retains a stable relationship with Spain. Both nations are members of the G-20, Organisation for Economic Co-operation and Development, Organization of Ibero-American States. Colombian–Mexican relations refers to the historical and current bilateral relationship between the Republic of Colombia and the United Mexican States. Both nations are members of the Association of Caribbean States, Community of Latin American and Caribbean States, Latin American Integration Association, Organization of American States, Organization of Ibero-American States, Pacific Alliance and the United Nations. Club Deportivo Guadalajara S.A. de C.V. ; often simply known as Guadalajara[ɡwaðalaˈxaɾa], and most commonly known as Chivas[ˈtʃiβas], is a Mexican professional football club based in Guadalajara, Jalisco. Guadalajara is one of the ten founding members of the Mexican First Division and is one of only two teams that have never been relegated to the second-tier division. Liga Amateur de Jalisco was a football league in Mexico founded by Federación Deportiva de Occidente de Aficionados, where clubs from the city of Guadalajara played from 1908 to 1943. The league folded in 1943, when the Primera División de México, the first professional league in Mexico was founded. Important clubs came out of this league, such as Guadalajara, Atlas, Nacional and Oro. The following is a timeline of the history of the city of Guadalajara, Mexico. Events in the year 2001 in Mexico. Events in the year 1996 in Mexico. Events in the year 1989 in Mexico. Events in the year 1976 in Mexico. Events in the year 1970 in Mexico. Events in the year 1973 in Mexico. ↑ "De qué han muerto los ex presidentes de México" [What have the former presidents of Mexico died of?] (in Spanish). Capital Mexico. July 16, 2018. Retrieved March 27, 2019. Wikimedia Commons has media related to 1979 in Mexico .